Green Opportunities’ mission is to train, support, and connect people from marginalized communities to sustainable employment pathways. We envision resilient, interconnected communities, where everyone shares respect and dignity, has the opportunity to build wealth, and is dedicated to helping each other thrive. On-the-job training for in-demand industries that offer clients a sense of accomplishment, provide relevant job knowledge and technical skills, and facilitate clients accessing jobs in their own communities. 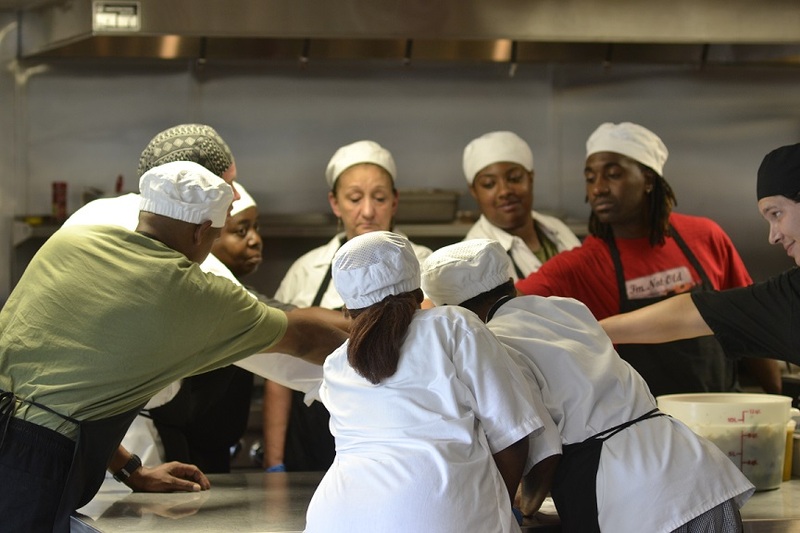 Students also work on hands-on projects, like preparing and serving meals in our community kitchen, that have a tangible impact on community health. Bundled holistic services to program clients, integrating technical and life skills training, entrepreneurial training, case management—to assess individual clients’ goals and barriers and link clients to appropriate community support services—and academic support to assist clients in achieving a high school diploma or GED. Financial support in the form of stipends or temporary employment wages to provide a way out of financial crisis so that clients can focus throughout the training and placement period. Close collaboration with neighborhood associations, community leaders and other active community members in our target neighborhoods to build trust and develop a sense of ownership. Working closely with like-minded businesses creates employment opportunities for program graduates. We value our staff and invest so that we have the best and brightest to achieve our mission. We practice transparency and believe that knowledge is power and belongs to everyone. We pursue partnerships and believe we must work together with other individuals and organizations in our community to achieve our goals. We achieve results and measure our success by our students’ economic long-term improvement. We demonstrate authenticity through respect, communication, teamwork, and professionalism. We work for economic justice and believe that everyone should have the opportunity to build wealth to reach their goals.